The stunning revelation was reported by journalists Jonathan Allen and Amie Parnes, who methodically detailed in their Clinton campaign tell-all, Shattered: Inside Hillary Clinton’s Doomed Campaign how Clinton helped fan the flames of “Russian collusion” by blaming her election loss on the FBI investigation into her private emails and Russian interference. “She wants to make sure all these narratives get spun the right way,” a longtime Clinton confidant told Allen and Parnes. 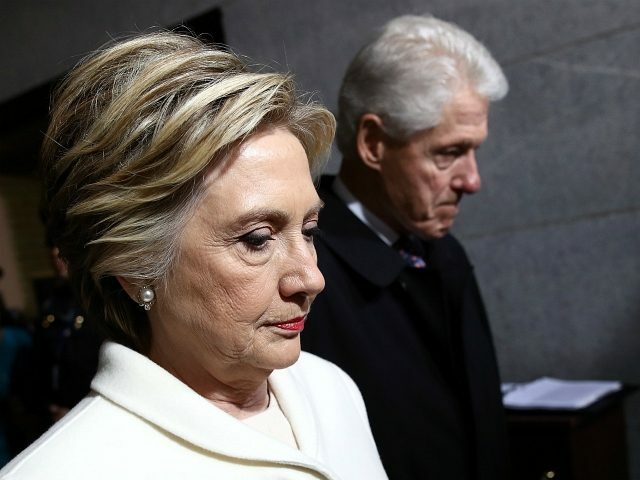 The pair detailed how Hillary Clinton’s Russia-blame-game was spurred by her senior campaign staffers John Podesta and Robby Mook, less than “within twenty-four hours” after she conceded to Trump. The Clinton camp’s Russia propaganda strategy was two-pronged: first, they encouraged a willing and sympathetic media to cover how “Russian hacking was the major unreported story of the campaign, overshadowed by the contents of stolen e-mails and Hillary’s own private-server imbroglio,” while “hammering the media for focusing so intently on the investigation into her e-mail, which had created a cloud over her candidacy,” Allen and Parnes wrote. Indeed, President Donald Trump was vindicated on Sunday when Attorney General William Barr sent a summary letter to Congress announcing that the Special Counsel investigation found no evidence that the Trump campaign colluded with Russia.